"I honor the wisdom of life"
Dear Friends, Yogi’s, Yogini’s, courageous travellers on the Path of Life. 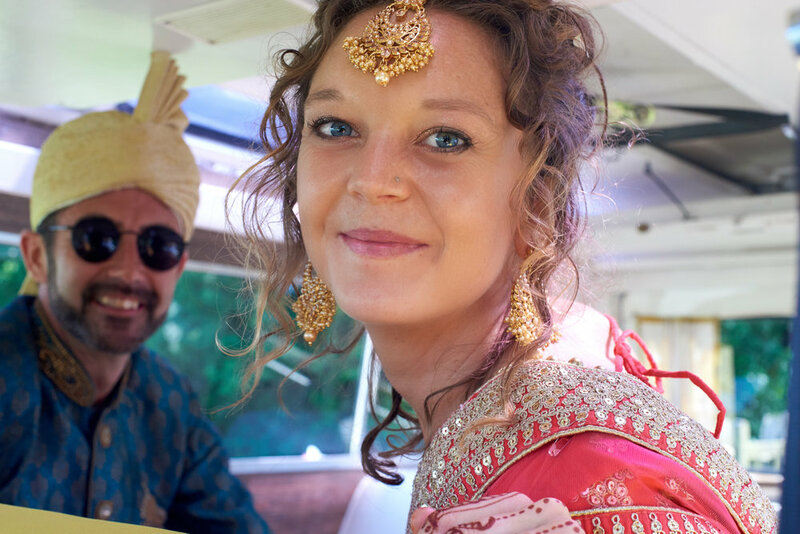 I’m writing this blog being 4 weeks into married life and I want to share with you about this sacred union with my lover and soulmate, but also the sacred union within. The Heart of Yoga is a practice of intimacy and this path starts with being comfortable with yourself and being intimate with all that you are. 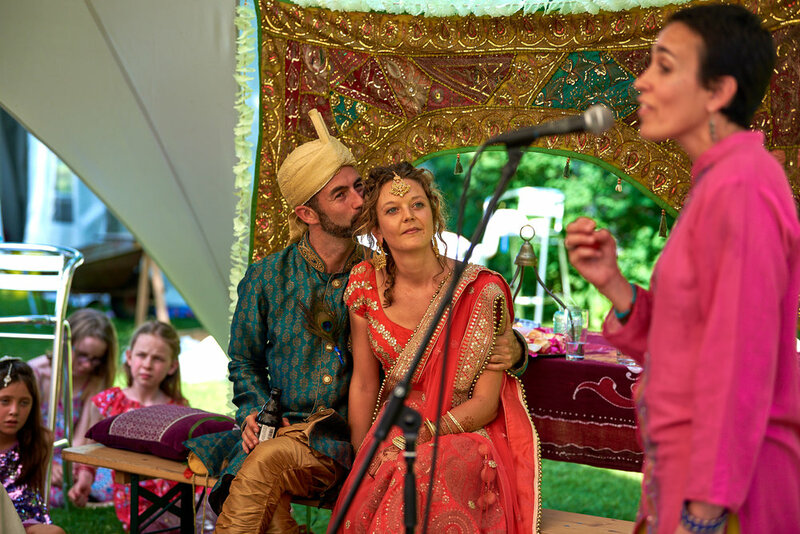 Following this yogic path of love and union, I want to invite you to join me and my husband Rene on a Yoga Retreat in the Himalayas this August. 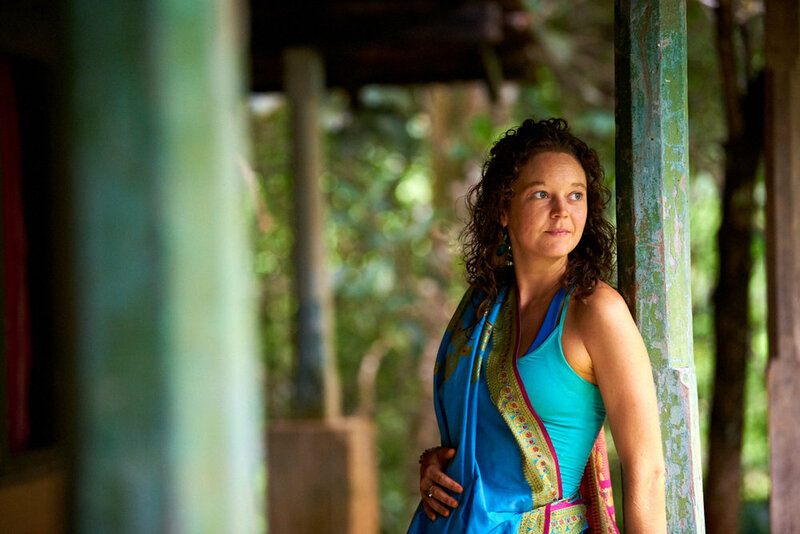 Or to come and practice with me at the regular Island Yoga Retreats and workshop on Koh Yao Noi. 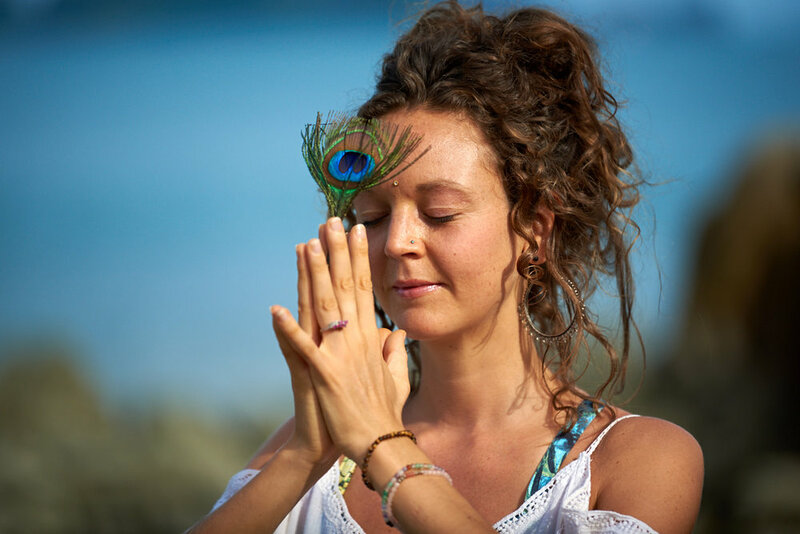 Or why not schedule already a 200hr Teacher training course in for October 2019 at Island Yoga! An in-dept one month journey on which you will become so much more than a yoga teacher; you will become empowered to live life in the extraordinary, union and love! More details about this soon! The Heart of Yoga is the path of union and love. Celebrating the elixir of life! The ultimate Heart of Yoga, is a practice of walking the path of love and union. Love and union with the world within and the world around you. The state of wholeness, union or bliss is a deep merging between all the opposites— the feminine and the masculine, heaven and earth, inner and outer, inhale and exhale, yin and yang, above and below, giving and receiving, holding and letting go. Being in a love relationship, has been and still is one of the most deepest spiritual practices for me. The journey of being intimate with my husband, has taught me the most important lessons in life. Rene and I met in a very small monastery in India, in the far and remote area of the desert of Kach, close to the Pakistan border. He and I sat under the stars, listening to a sadhu ‘Baba Ji’ while he was playing his sitar and singing full of devotion. This sadhu practiced the path of Bhakti, the path of love and devotion and initiated us without knowing into the path of Divine Love. Our love story took us many years to develop and to transform into this sacred marriage. It made us travel all over the world, but especially also within. I see myself as the girl I was then and see the woman who I am now, and I realise the transformation that has happened. I see the power of love and commitment as the one of the biggest elements for my own spiritual practice. I love to see ‘intimacy’ as “into-me-I-see”, as becoming first of all intimate with yourself, allowing the practices to invite you deeper in the intimacy…and discover love and trust within yourself. The Heart of Yoga (Krishnamacharyan,T. K. V. Desikachar), is a path of commitment and trust. First of all commitment to yourself. A commitment and engagement of saying ‘Yes, I do’ to yourself. To get engaged with and within yourself. Saying ‘Yes, I do', to an inner marriage and spiritual union within. A ‘Yes, I do' to start loving and accepting yourself. A 'Yes, I do' to commitment to look within, to contemplate, to be brave and vulnerable, to radical self acceptance. A ‘Yes, I do' to embrace the wounds, shame, guilt, fears, anger, grief, insecurity and confusion. A ‘Yes, I do’ to shine radiantly from within and not being afraid of being true to yourself. To say ‘Yes, I do' to commit to make your yoga and meditation practice a daily priority’. To say ‘Yes, I do' to commit of taking more care of yourself and start to love yourself better’ To say 'Yes, I do' to choose a job, friends, home, environment, practices, food, way of living that suits and nourishes you. To say ‘Yes, I do commit to saying ‘Yes’ to life and walking my own path, following my passions and dharma. I feel the moment we both started to say ‘Yes, to all of this, we both became so much more in tune with our true Self, and we could lift the limitations of separateness of the ego and create this union and let our relationship blossom in a way that was honest, pure and auspicious for both of us.The inner growth and growing of our love went hand in hand. Do you long for an inner marriage and ‘intimacy’ as “into-me-I-see”? This relaxing into yourself is what I want to offer to you in my classes, teachings and retreats. I know that love really started when I allowed myself to soften, to tune more into the feminine practices, to the natural rhythms of my body, my moon cycles, the practices of Tibetan Buddhism, Taoism, Yin yoga, and the Himalayan Tradition of meditation and stillness. Yoga has become completely a sacred practice to tune in with my breath and the needs of my body and soul, rather then just a physical practice. Our Himalayan Yoga Retreat will be an invitation to soften into yourself, to merge with the Land of Tibetan Buddhism and Sacred monasteries, to explore the path of compassion and kindness, self-acceptance and silence. A beautiful and soul crafted journey of self discovery, self awareness, love, intimacy, honesty, celebration and inner transformation. A journey of intimacy and ‘in-to-me-I-see’, a celebration of the mountains, nature, Buddhist teachings and cultural exchange. For more info see the retreat page. Journaling & Yoga, two practices of centering in the present. For me there are a lot of similarities between yoga and journaling. I still have my first dairy at the age of 8-9 years old, when I started the practice of writing down how my day had been, what I had been doing, which people I met and how they influenced me and the emotions I felt. Since then writing has been a constant and important company in my life. It’s a 'must-do', as it feels so natural to me and is part of who I am. Just as yoga, journaling is something that really calms me, centers and grounds me, especially in the midst of chaos, change, turbulent times, travelling, meeting new people and places… Starting a new page is as stepping on my yoga mat in the morning, not knowing where it will lead to or how long it will take. Words and sentences unfold one by one, in a free flow, like asana’s connect with each other, always different, without a planned choreography. Sometimes words come easy and fluid, sometimes they arrive slowly on the surface, but reveal a new depth of connection with my true self. Words dance on the rhythm of my breath and form a bridge between my higher consciousness and myself, a channel through which new insights, perspectives, wisdom, decisions and transformations can enter my mind. 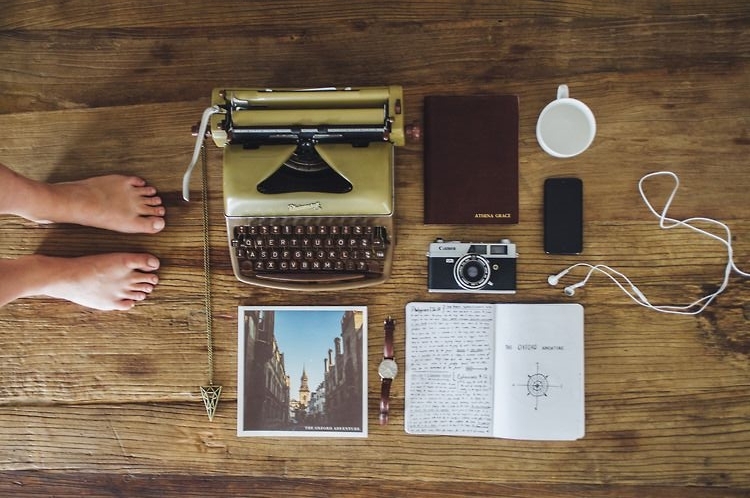 The act of journaling is like a sacred ritual to me, a ritual of connecting, an intimate practice of understanding myself and life better. It's a platform for free uncensored writing, for inner speech without judgments, a creative space to put things in order. A space to contemplate without holding back and allow doubts, shadows, fears, questions to arise, a space to feel grateful, gain confidence, to love and let go. A space to reclaim my trust in life and allow myself to surrender to a world of words and soul confessions. Journaling mainly helps me to accept things as they are, to see the bigger picture or to allow my path to take a new turn even though I don’t know the destination or purpose. Writing helps me to love myself better, to let go of fears and insecurities, to allow uncertainty to be a welcome guest at life’s banquet and to tap into courage, willpower, and chose love over fear. And this is exactly the same as how my personal yoga practice feels. Yoga grounds me in my existence, it quiets my mind, it opens a deeper awareness and gratefulness in me. Each asana is a step closer to my authentic self, peeling away layer and layer of ego, confusion and insecurity. A journey of trust, of falling into the unknown and celebrating life. A dance with the light and the darkness of life and the mysterious interplay of them. Over the last 25 years I have filled journals and journals with words and poetry, often while sitting out in nature or in bed with a cup of tea. The combination of 'free-speech' journaling and yoga are like a form of meditation to me. Both require an absolute focus and mindful attention to the sensations of my body, the vibrations of words arising from a deeper source inside of me. Often words and sentences appear out of the blue, without even knowing I had them inside of me. New perspectives get born, new streams of thoughts blossom and unfold into a river of consciousness faster then my mind can formulate them. Inspiration pours onto paper, words fall into place. A new clarity arises out of silent words, just like my body can move into a continuous dance of asana’s without thinking or coordinating. Since I started teaching yoga, I immediately felt a call to use poetry in my yoga classes, as I, myself love it when a teacher interweaves a poem into a string of asana’s and breath. One well crafted sentence or beautiful metaphor can propel me to a deeper level of my soul, striking me in an unexpected place. In a way, I feel that words can be like swords cutting through all the protective layers and walls, build by the ego over years, and hit that well protected vulnerable spot. The shell cracks open and emotions start to pour, finding a way into the light. As journaling and poetry have always been so important and present to my own inner world, I feel it's time to share this passion and bring it to the outer world. Yoga is a way of the soul connecting with its unique voice, and so is writing and poetry. Over the last years I started to experiment with combining poetry and slow, static asana’s in order to allow the heart to gently open. I noticed students being touched by them and asking me later about one specific line that resonated with them, or made them cry. So I experimented more and realised that reading the words is ultimately only there to hang a silence upon, so the real message can enter straight into the heart. I believe that one line of poetry can change the course of a life. And that’s why I have to keep writing and journaling myself, as I am paving my way through life with asana’s and words. A free fall journey into the unknown, the mystery that is right here for all of us, and brings us to faraway and unknown destinations. If you feel interested in journaling & yoga, or you would love to let the unspoken truth find a way to reveal itself on paper or on the mat, feel free to join my new workshop ‘Creative journaling & Yoga’ or one of my specialised yoga retreats at Island Yoga in Thailand! Or feel free to drop me a note and get in touch with me! The psyche and souls of woman have their own cycles and seasons of doing and solitude, running and staying, being involved and being removed, questing and resting, being of the world and out and diving in the underworld, the home place of the soul and silence. Over the last two months I went through a multiple processes of returning home. After a busy time of teaching retreat classes in Thailand, I felt a soul-call to return inwards, to withdraw from teaching and public stage for a moment and return to the soul place. When we ignore these cycles for too long, we start to suffer from dryness, tiredness and homesickness. So it’s better to return to silence and solitude regularly, so a woman can hear the whispers of her soul. I went to Sri Lanka with my partner, and sat on my mat daily, meditating and just enjoying the silent practice of sitting, breathing, recalibrating my inner compass and tuning in to what I felt I had ignored; to see whether I was still moving in the right direction; to take time for what needed to be nourished again. After a traditional Ayurvedic panchakarma treatment I felt physically cleansed and my eyes were shining bright again. But my soul wanted more, and longed for a deeper silence and inner transformation. I felt a clear call to return to the lineage of my meditation masters near the Himalayas and Ganges. I wanted more time to spend in the river under the river, to sink from ego to soul and listen to the comforting voice of the “old, wild woman inside of me, She who knows”. I decided to go on a solo journey to India, to withdraw from public life and social media, as I needed pure silence and wanted to question this ‘need of the ego’ to be ‘Instant and Out’. The result was that I never felt more peaceful and undistracted. During my stay in the Swami Rama ashram near the Ganges I experienced some profound mystical moments and the joy of real silence. No distraction, no competition, no external pressure, no need to speak or engage, but time to replenish my own reservoir of creative and life energy. Waking up at 4.30am with the sun, sitting quietly there near the river, Mother Ganga, I felt completely comfortable in my own skin, deeply happy where I was and in balance with my innermost centre, womanhood and natural cycles of life. Being in their company felt so restorative and supportive. To come back home after months abroad and feel that not much words are needed to understand and be understood, to be part of the clan of wolves again like I had not left at all, felt so precious and soul nourishing. In solitude in India and surrounded by my family and friends in Belgium, both trips made me come closer to my inner home, a place located in the depts of my heart. A place that isn’t difficult to find, but often overlooked by being busy and always on the go. I felt completely embraced, immersed, anonymous for the outside world, but so grounded, sustained, sincere and part of in this little universe of myself and a small group of beautiful people being together, talking from the guts, sharing stories, laughing silly, feeling enlivened, coming home again and everything feeling better. Now, before taking off again to India, I feel my creative well isn’t in danger of running dry anymore, I feel nourished, fed, strong and ready to take up my journey again. The flow of my creative river is running smooth and clear again. I feel focused, free from mental contamination, protected and ready to start a new chapter in life. I am preparing for the next 12 months of teaching at Island Yoga. I am working on three new retreat programs, and I am off to India for some inspiring yoga trainings with some incredible teachers! I feel excited, grateful for all these new doors opening and can’t wait to share what I have learned, and still learning every day! I am ready for the third part of my soul returning home. I hear the mountains calling, and I must go. It’s time to pack my backpack again and travel over the Himalayas to Ladakh. To lay my soul at the base of the highest mountains and take in the breath of the Gods who dwell only on this sacred high desert land. The ‘Land of the High Passes’ is my next destination, the Himalayan snowcapped mountains are tugging at my feet to be crossed, the breeze of the icy wind dancing with the prayerflags is whispering. I long to sit quietly with the monks in the colourful monasteries, work with my Ladakhi family in the fields of barley and yaks, singing Om Mane Padme Hum into the world, to experience a silence so loud and tactile, a silence that forms a thin line between the world of humans and gods. I know the mountains will be my last station before returning back home to Thailand, the beautiful Island of Koh Yai Noi and Island Yoga that has welcomed us so generously. These months in between are my ‘winter season’, a time to be with myself and the people I love the most, a time of dedicating my time to what and who really matters, trusting universe in the natural flow of life, enjoying the understream of my soul river back home, so I can return on the surface later again fully recharged and transformed. I know that I have to dive deep, patient and silent, as I am learning the skill of staying authentic and pursuing my goal of becoming a truthful yoga teacher, honouring my soul’s needs for withdrawal and engagement, travelling and resting, teaching and learning, loving and caring, trust and surrender. Why we need autumn, darker days and hot chocolate under a blanket! Often people dream about living in a place on earth where it’s always summer, bright and light. A place where winter doesn’t exist and it’s always sunny. Some people, often backpackers, try to travel around the whole year following the sun. Moving from one place to an other, when autumn or rain hits the continent. One of my yoga teachers was such a sun seeker in her twenties and travelled from summer to summer, endless in search for warm rays of sunlight, and a beautiful tanned skin. After 2 years she felt exhausted, the sun didn’t brighten her mood anymore nor did the sunrise give her the energy to get through the day. She had to admit; she was longing for red and orange autumn leaves. She dreamed about sitting in front of a fire, darkness outside while reading a book with a cup of hot chocolate under a blanket. And most of all, she felt an urge to slow down, to retreat inside of herself and find some inner silence to contemplate. Our human bodies and mind need seasons. We need autumns to slow down after an outward directed, abundant summer of joy, festivities, excitement and being outdoors. Slowly we need to harvest, like in nature, and store our inner and outer barns to make sure we have plenty of resources to get ourselves through the winter. The energy of autumn, is related to the vata dosha in Ayurveda, representing the importance of slowing down, grounding and connecting with the earth and its rhythm, turning inwards and letting go of the waste, the old and stale in our lives. ‘Vata’ literally get translated as “wind”. Vata is dry, light, cold and it comes in bursts. It moves, and changes in all kind of directions and can you give a feeling of being caught up high in the air, whirling without sense of grounding. Vata rises in autumn, and when it does, it can leave you feeling worn out, brittle, and susceptible to illness. As autumn is a transitioning season to prepare for the winter, we need to restore our body with healthy, warming and nutritious food, slow down our yoga practice while including lots of yin and restorative practices, get an extra hour of sleep, oil your skin, treat yourself to a massage, and move inwards into our houses and enjoy family life. Autumn returns us to our essence, the shorter days tell us to slow down the pace of our lives and step away from the duties and complications of modern day living. It’s time to rest, relax, release and restore our energy and breathe into the inner realm of our lives that can bring more comfort, nourishment and balance. Just as some animals in nature prepare themselves to enter hibernation, for us humans it’s a time to cocoon and retreat inwards. Off course we don’t really sleep through the winter like bears do. Although to me it sounds pretty pleasant and it isn’t such a stupid idea after all! Winters are time to consolidate to our deepest point of yin, which consists of silence, stillness, withdrawing, restoring, resting and releasing. Although I have a strong and vigorous yoga practice myself, I notice that when the fall sets in, my body wants to slow down more, staying longer and deeper in asana’s and often I find myself ending in yin and restorative asana’s. Traditional Chinese Medicine (TCM), Ayurveda, Taoism, …they all speak about the inner seasons, the natural cycles in our body which we need to honor and respect. Autumn and winter are related to the ‘Metal’ and ‘Water’ elements in TCM and represent a consolidating energy, more dense, still and vast. Inward and downward moving energies that root us and ground us in the earth, sending prana or chi into the kidneys and lower energy centers of our bodies. The deepest Yin represents the feminine energy or Shakti, which is a reflective, nurturing, receiving, surrendering and soft energy to be cultivated in our mind and towards our bodies. It’s a time to search in yourself for the dark corners, the shadows of yourself, the cold and frozen parts of your ego. To investigate with love and kindness what is dark and stale, what it is you need to release and give back to the earth, just as the colored leaves drop down from the trees. I love the way how Clarissa Pinkola Estes describes these natural cycles in her book “Women who run with wolves”. She says: “ In every relation in nature, even in the relationship with ourselves, there is a time of birth and death and birth. Seeds within ourselves grow, ideas get born, relationships die, and death makes space for something new to get born. These natural cycles are nothing to be afraid of.” Autumn is the season to reflect what needs to be released, winter is the season of death. Trees loose their leaves, nature becomes grey and naked, and when snow covers the earth under a thick white blanket, there is only silence and stillness. The purest state of Yin. It’s an illusion we can always keep going, facing our face towards the sun. Sometimes we need to face the shadows, the darkness, and let our bodies and mind rest… So allow your soul be nostalgic towards the end of the year, so when the new year sets in and the first spring crocus lift their head up towards the sun, just as the bears, we open our new eyes, and wake up recharged, restored, released of what doesn’t serve your anymore, and with a natural hunger for life! Join my next Autumn Restore & Renew workshop at the Float Spa on Sunday the 13th of November, 2-4pm. For more info check my News Page! My first blog post. I have waited so long and have written so many pieces in my head and on paper, but not one made it through my wall of doubts. So why now? Why today? Perhaps because tonight there is a full moon, conjured in Eris and Uranus, and I feel a creative energy flowing through my body, charged with courage and a fierceness action. Eris is the archetype of the feminine spiritual warrior, she who gives a voice to the feminine wildness, and doesn’t care what gets left behind on the battlefield. And maybe because my name ‘Veerle’, which means ‘travelling warrior’, is so connected to Eris, I feel encouraged today to stand my words. Writing is a way of finding my balance and ground off the mat, and publishing my words feels vulnerable. But there is also a call that they might resonate for other people who read them. So, I’d would like to tell you about the meaning of “Namo”, the Sanskrit word I borrow to call myself with as a yoga teacher. ‘Namo’ literally means ‘ I honor the wisdom of life’. When I reflect about all the meanings and values Yoga embraces for me, then it bottles down to this one sentence: ‘To honor all that life gives me, the light and darkness, and to bow my head and trust that this is exactly what I need, right in this moment, whether I recognize it or not’. For me, this is the greatest lesson Yoga has taught me over the years. I’d like to think about life as a divine play, all set out for us, even before we were born. We humans are the main actors of our own game, but (un)fortunately we don’t understand the rules or final destination. We experience beauty, wealth, happiness, and encounter inspiring and loving people along our way and come across periods where everything just goes smooth and easy. But there are also times where we seem to be stuck in every direction and find obstacles in every corner. We experience fear, anger, grief, envy, and meet people who hurt us or drive us crazy. All these people, experiences, all the shortcuts, diversions, emotional rollercoasters or smooth waves are laid out for us, long before our birth and by something greater and more powerful then us. They happen because there is a wisdom that Life wants us to discover and learn, a precious truth we acquire by transcending the illusions we hold. I have experienced myself some dark episodes in my life where everything seemed to be part of a sad tragedy. I felt trapped in a life without a purpose, and didn’t know where to go or what to do to create a positive shift. I was in a job that didn’t fulfill me, love seemed to have forgotten about me, and I felt failed, sad and low in confidence. I kept on trying to get things moving, but life knocked me back, over and over again. I became exhausted and depressed, and wanted to give up fighting. It was only then when I stopped pushing and forcing, that I realized that it was me who was the poker face in my own game. For years I had been trying to copy other people’s game and tried to apply their manuals on my own life. And I got terribly lost, like a dead end in a maze. Yoga helped me to surrender when fighting was no option anymore and all I could do was bow my head and listen to Life’s voice. This is what the Heart of Yoga is for me. To wake up to the truth that Life is there for us, and never against us. Whenever we suffer, the Universe wants us to learn something. I’d like to think that Life never gives us something we aren’t ready for or can’t handle yet. If it happens, we are ready for the next challenge in order to grow, develop and realize our fullest potential. Whether it’s the encounter of the love of your life, the realization of your biggest dream, the gift of a newborn child, or the start of a new life on the other side of the world…it can all scare and overwhelm you and evoke doubts and fears. But when a new door opens, we are ready for the next step. The same counts for our sufferings, our losses, our loneliness, anxieties, trauma’s and illnesses.. They happen for us. When we loose faith in ourselves or in the people around us, Life is at a crucial transitioning point, as we get a major challenge offered in order to jump to the next level of our personal game. In these turbulent moments Universe provides us a crucial opportunity to learn something about our own destiny and purpose on earth. The more we can surrender and trust the process, the easier and quicker we will find a new road to take, so we can cross the bridge between darkness and light. Like Buddha said: Pain is inevitable, suffering is optional. This is the meaning of ‘Namo' for me; the humble realization that the more we can trust Life and flow with it, instead of fighting against it, the more we will grow. The more we will also shine, develop, transform and reveal our true self. This process requires the deep-seated cultivation of faith and attentiveness to the whispers of Life. To slow down when we need to, rest and heal when we are wound, but go full forwards, shine, laugh, accept and take risks when new doors are opening for us. We are all unique characters, designed for our own play, and if Life didn’t have a beautiful purpose for us, we wouldn’t even be here. Life is mysterious but generous, and even in a crisis lies a hidden gift for us; a message for our soul to learn, whether we like it or not. It is there for you, and it’s up to you to accept it and embrace the underlying message or let these situations repeat themselves, and be a victim of them until you are willing to face them and master the deeper wisdom in them. ‘Namo’ be a humble warrior. ‘Isvara Pranidhana’, surrender to a higher wisdom. ‘So Ham”, be you, be your beautiful Self and start loving your own game. Celebrate your victories and embrace your falls, as this is your divine play and no one else can live it for you.